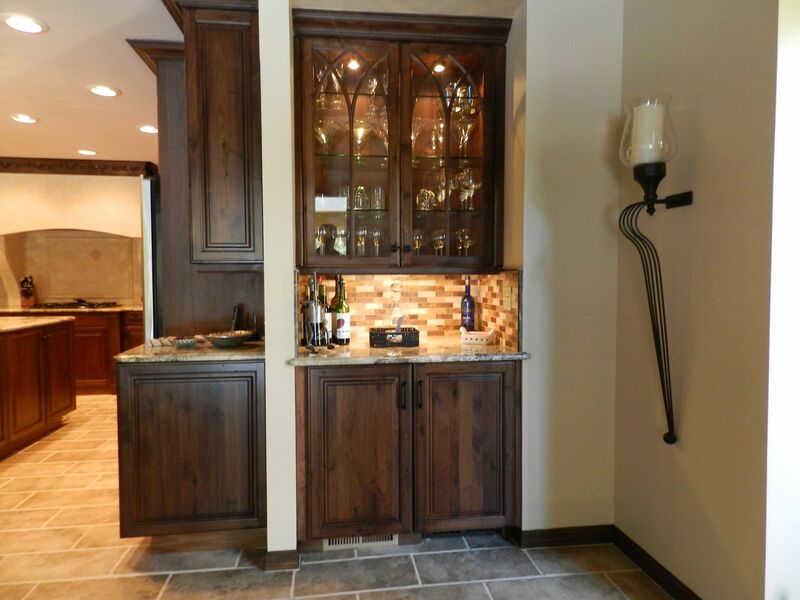 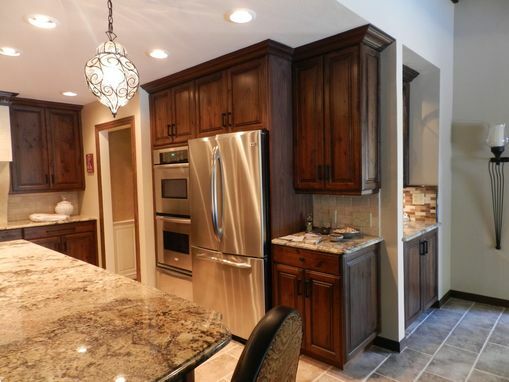 This rustic walnut kitchen is elegant and functional. 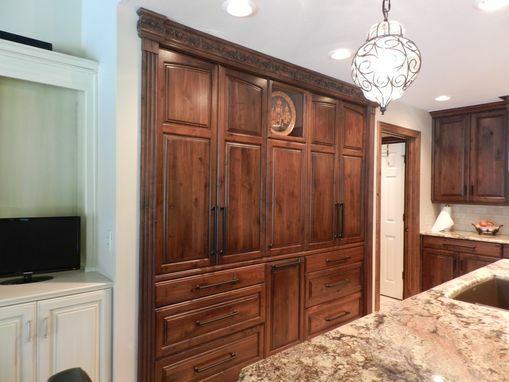 With a large island for work space, a huge pantry wall and storage galore. 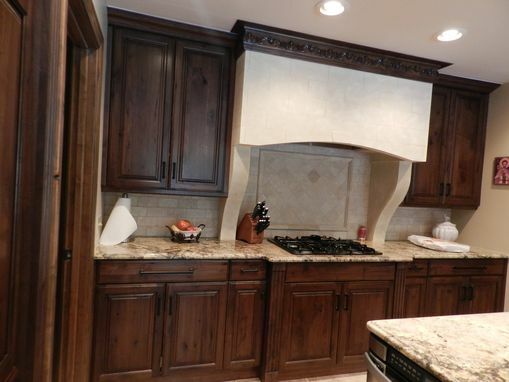 This kitchen could easily be the center of any home.